IT’S ANOTHER MOM ORIGINAL. 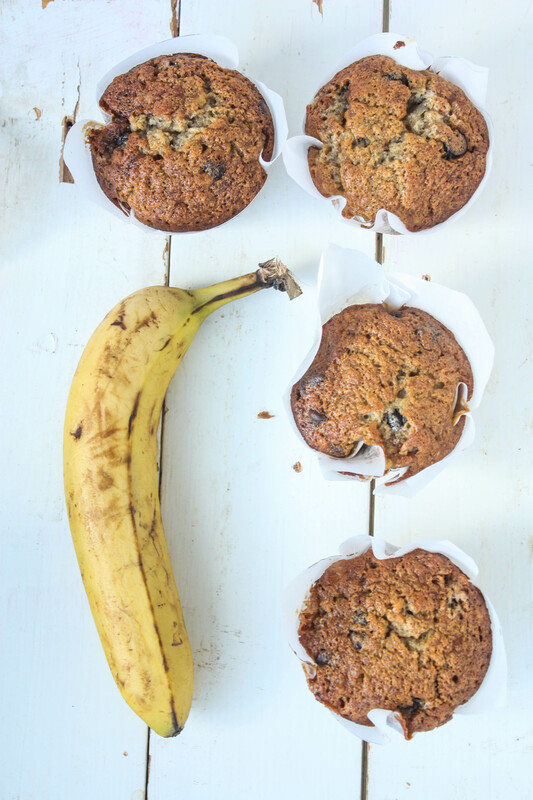 The most delectable, moist, and loving banana bread recipe you’ll ever use. It’s the type of muffin you use to break bread with your enemies, or whatever. My mom is kind of pissed that I didn’t pack these with walnuts (like she did), but chocolate chips always take priority in my recipes. Also, she loves raisins. So she’s a little sweetie but I know that I can’t always trust her because one day she might just snap and sprinkle raisins into everything. 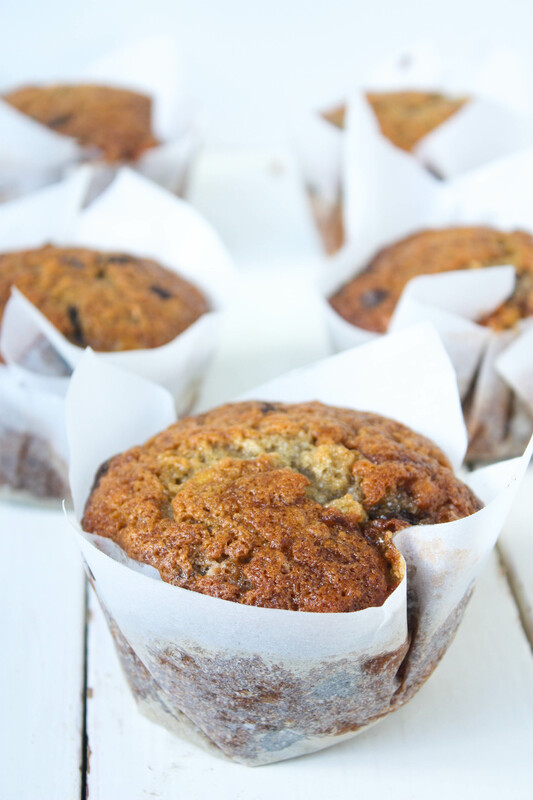 Banana bread muffins. But wait, isn’t that a little redundant? Couldn’t you just call them banana muffins? No. Because you should never forget that you have choices in this recipe. Bread or muffins. I am pro-choice. 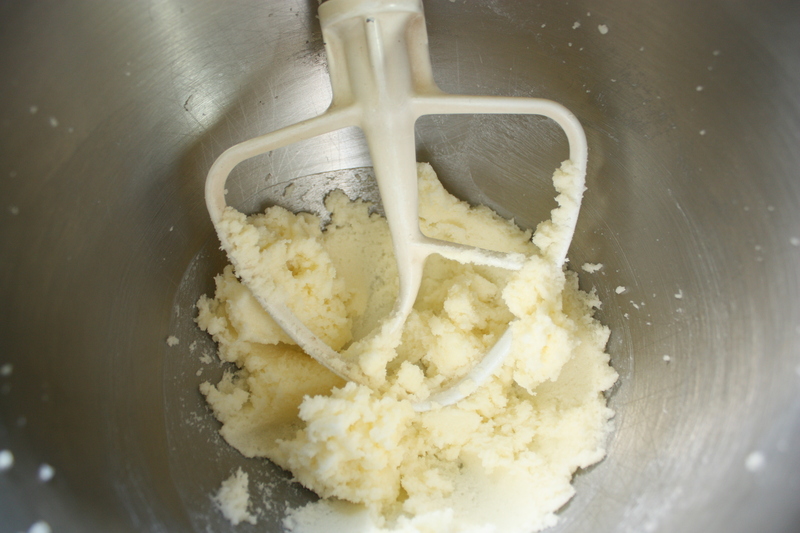 Cream together butter and sugar on medium speed until pale and fluffy. Add eggs one at a time, beating well to combine. Add vanilla extract. 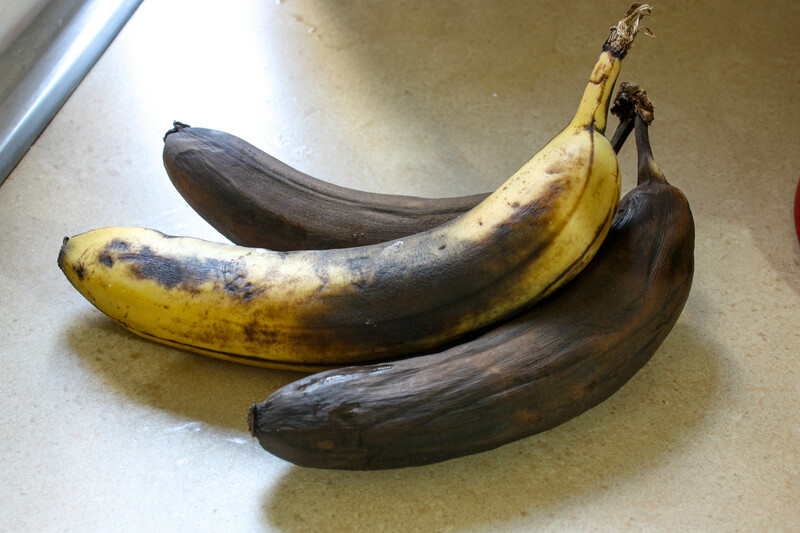 You want overripe bananas because they have the most flavour. Fortunately I happen to ignore any banana that is bruised or overly ripened so there’s always potential for banana bread at my house. 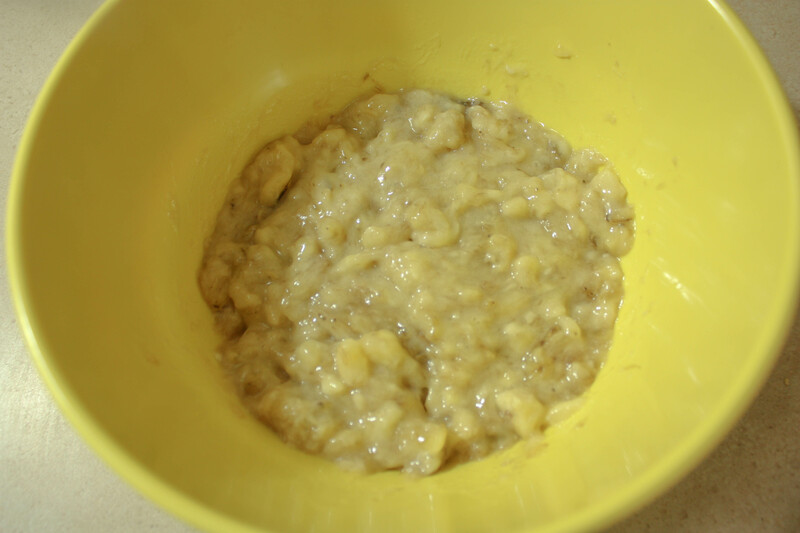 Mash the bananas in a large bowl. 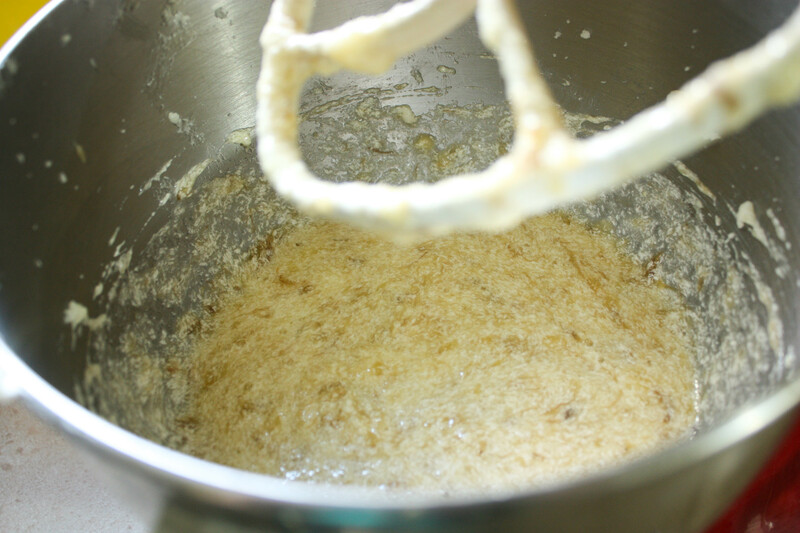 Add mashed bananas to butter mixture. It will curdle but don’t freak out! It won’t affect the recipe and you’ll still get adorable muffins. 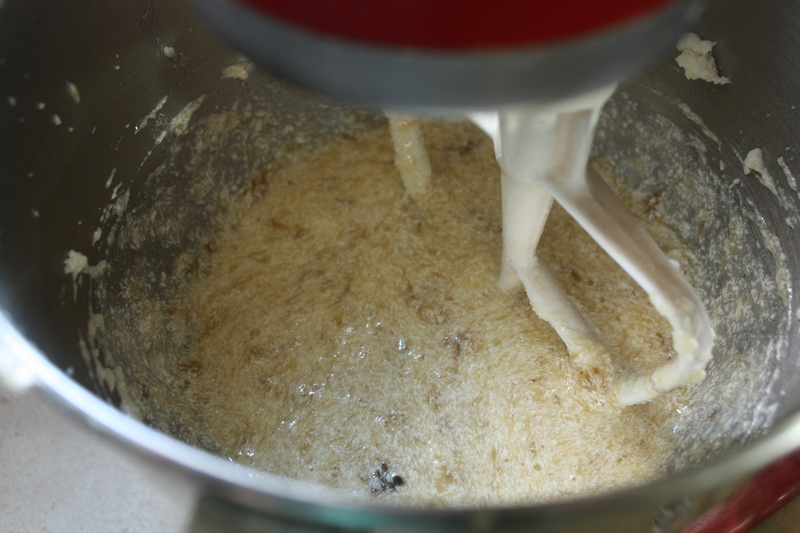 Next, mix together the flour, baking soda and salt. Mix in gradually until just combined. Fold in chocolate chips. 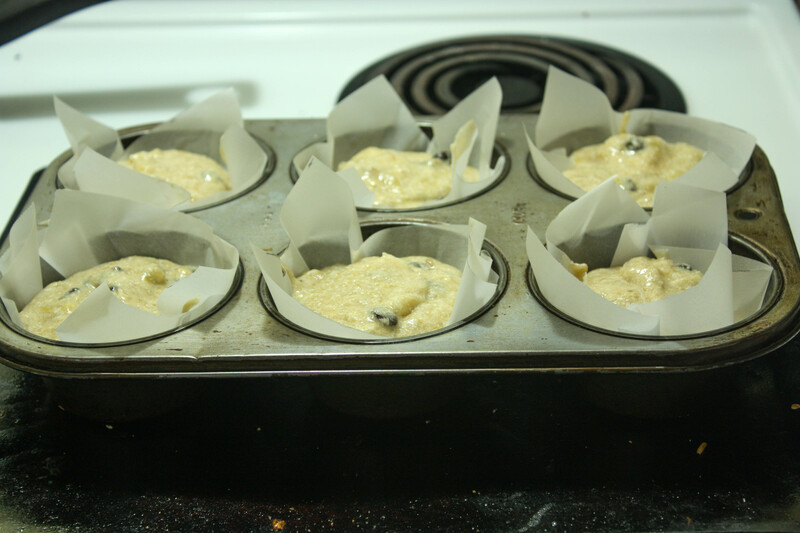 Fill muffin cups 3/4 full (I used a jumbo muffin tin). 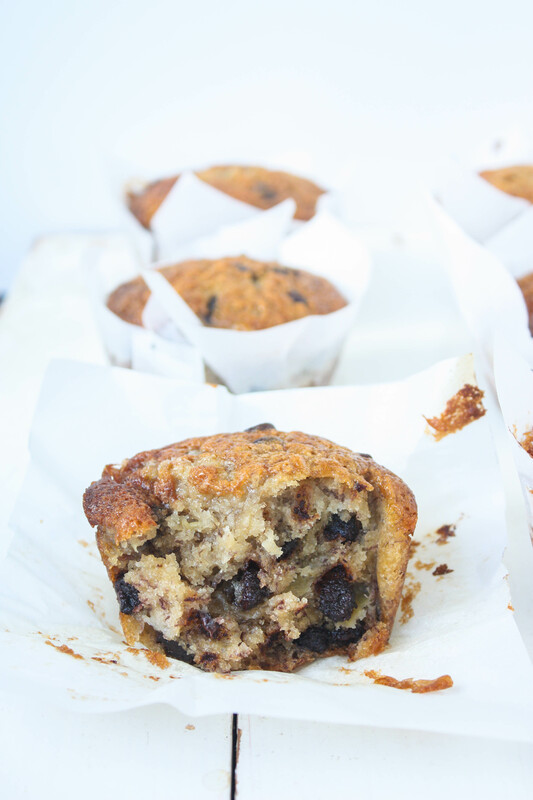 Bake for 30-35 minutes or until a toothpick inserted in the middle of the muffin comes out clean (it may have some chocolate on it) and the tops are golden brown. *These puppies retain their moisture for 2-3 days after baking!